The VictorinoxSwiss Army Panorama pant blends style and functionality. It is made of 100% cotton and has classic military-styling. 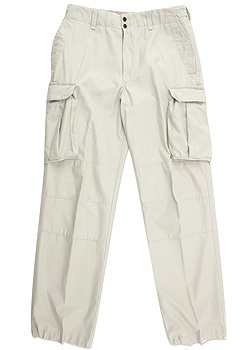 Its cargo pant pockets make it a smart and comfortable choice for both trails and city streets. The pants also features a special pocket to carry cell phones or small FRS radio.